We offer only the highest quality repairs. All repair jobs come with a 30 day warranty! We are ready to help you with your computer problems. Call us now! We specialize in providing fast, convenient repair services for computers, laptops, mac’s & smartphones. we’ll normally get your smartphone in and out in 45 minutes or less. Contact us today at 661-263-4442. Computer repair is what we do. Whether it’s a laptop, PC, or desktop repair that you need, we can help. We know that laptop repair problems come in all shapes and sizes. 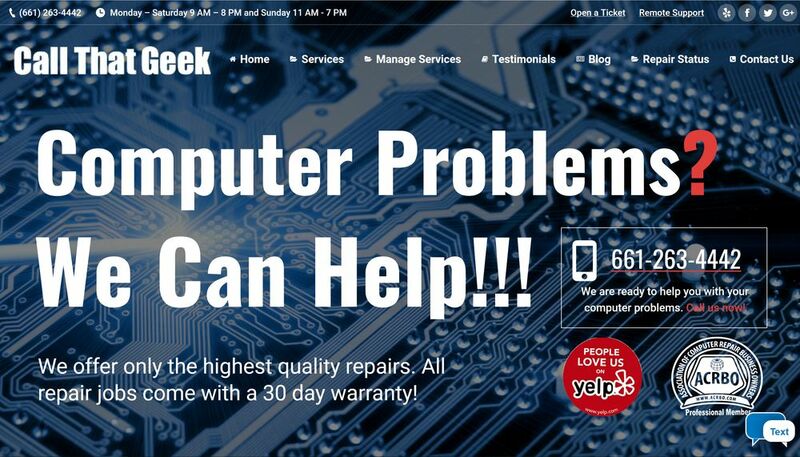 Whatever laptop problem you need fixed, we can help! Yes, we repair Macs! We actually repair a lot more Macs than PCs these days. Whether you need a MacBook Pro repair, MacBook Air repair, iMac repair, etc. we can help! We fix Apple laptops, desktops and a variety of other devices. No matter what type of Mac Repair you’re looking for – We can help. iPhone Repair & iPad Repair services! iPhone Screen Repairs are done in about 45min, and here at AV Computer Repair, we only use high quality parts, no brittle knockoffs! Our iPad repair turnaround is spot on, and you could even have your iPad back within 24hrs! Here’s a few reasons why our customers love us. But don’t take their word for it, try us yourself! We know your device is important to you and we’ll get it back to you quickly! Often in 30-45 mins or next day! We offer a 30 Day Warranty on all our standard repairs. We’ll test your device once your repair is complete, but if any issues arise later, we’re here to help. We don’t expect you to have any problems, but isn’t it nice to know you’ve got a warranty if you need it? I highly recommend coming here! I used to believe my phone carrier would provide the best technical support but I was wrong. When in doubt I will always contact AvComputerRepair (Raul) for any tech issue in the future. My galaxy S6 would not hold a charge, was overheating, and wouldn't turn on. Everyone told me buy a new phone or buy a new battery that would take a week on average to fix. However, he figured out that my charging port needed to be replaced. I am so thankful for his help, I was able to save all of my pictures and important information. Thank you! Amazing guy and great repair, he made my month getting my poor phone repaired. Thank you! I normally go somewhere else for my iPhone repairs, but they weren't there and I happen to find AV Computer Repair. Raul knows his stuff and is an all around nice person. He will be my go to for phone and computer repairs and I suggest you go to him as well! Great guy, fast, and very professional. I will definitely return and I highly recommend that you give AV Computer Repair a try.